Description: August Edwin Prager began crafting bows under the guidance of his father Freidrich Wilhelm. He then trained in Leipzig under the renowned shop of Ludwig Bausch. 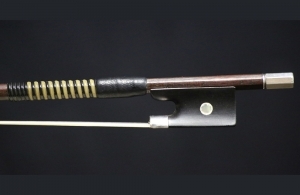 Around 1900, he moved to Schönlind and began crafting bows under his own name. 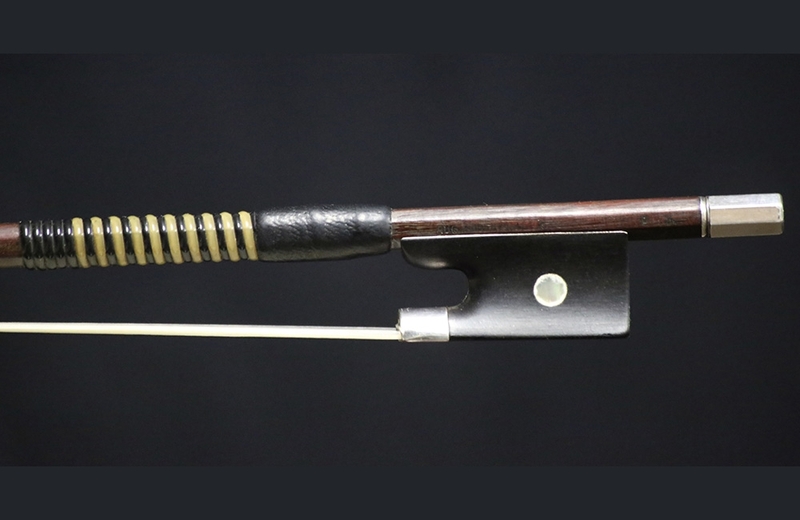 Prager moved to Markneukirchen in 1930 and crafted bows there until his death in 1956. 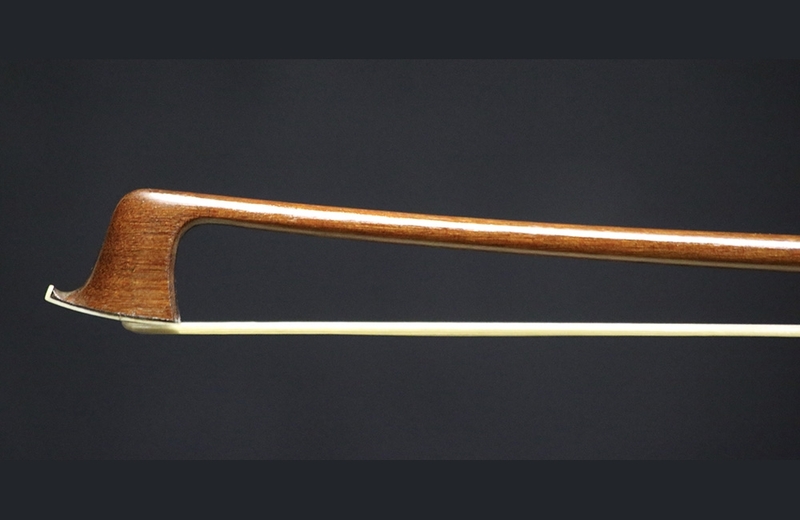 This particular bow is in excellent condition and is well balanced. Weight: 60 grams.